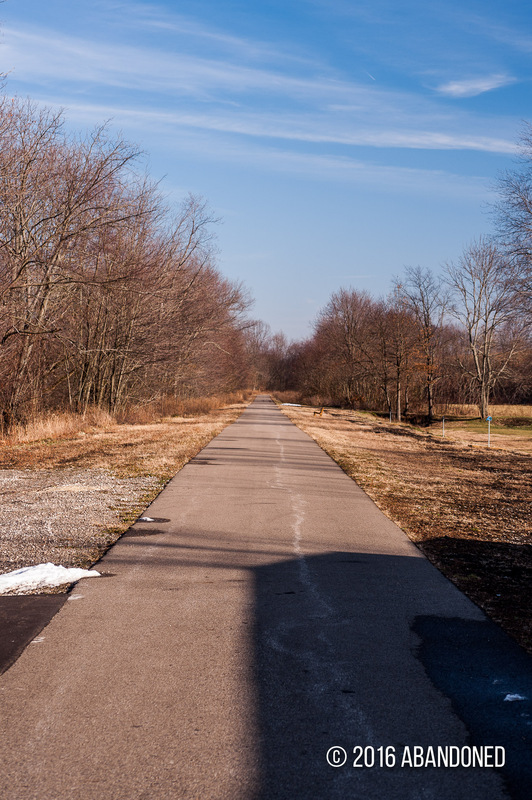 The Central Ohio Railway is a former railroad that connected Columbus to Bellaire, Ohio at the Ohio River. 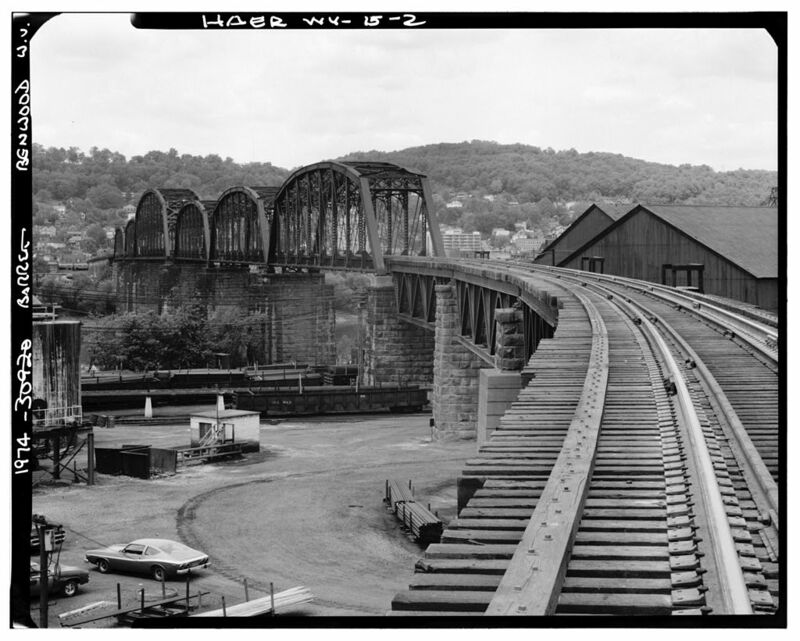 The line played an integral role in the development of the Baltimore & Ohio Railroad (B&O), especially after a bridge was completed over the Ohio River that enabled eastern markets to connect with Chicago and the Midwest. 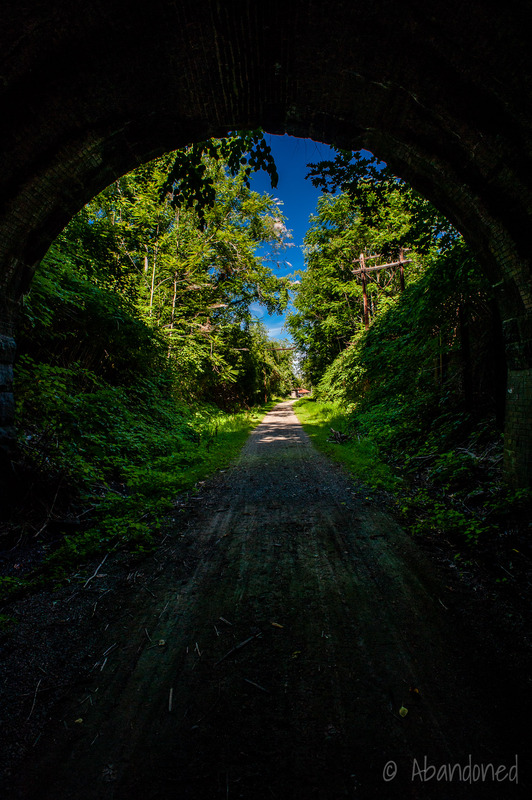 A railroad was first conceived between Wheeling, West Virginia and the Midwest in the mid-19th century as an efficient manner in transporting freight and passengers from the east coast west into Ohio and ultimately Chicago. The Central Ohio Railway, chartered in February 1847 by interests in Zanesville, was proposed to connect Columbus, Ohio to Bellaire at the Ohio River. 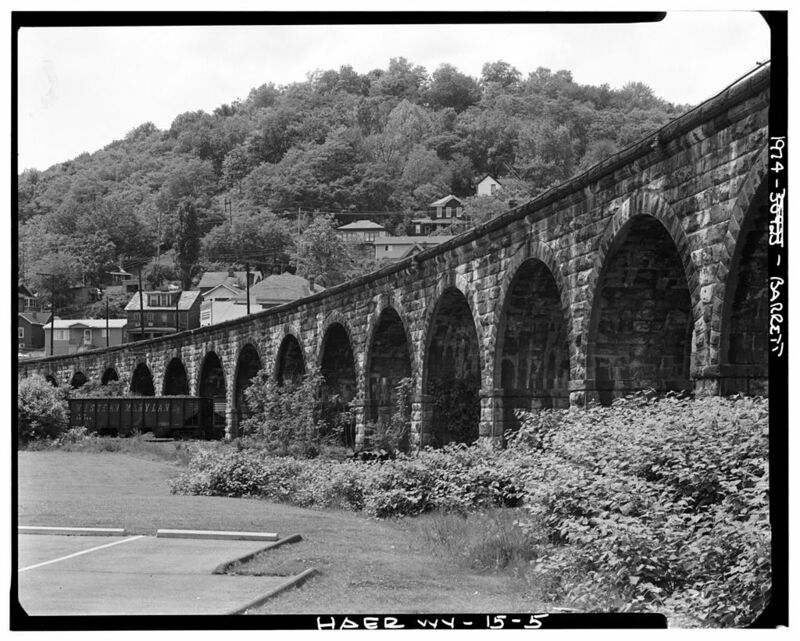 3 Construction began in June 1850 2 but work was besieged with obstacles owing to the rugged Appalachian terrain. The wide Muskingum River at Zanesville had to be bridged and major cuts had to be performed through hard sandstone, such as at Blackhand Gorge along the Licking River east of Newark. 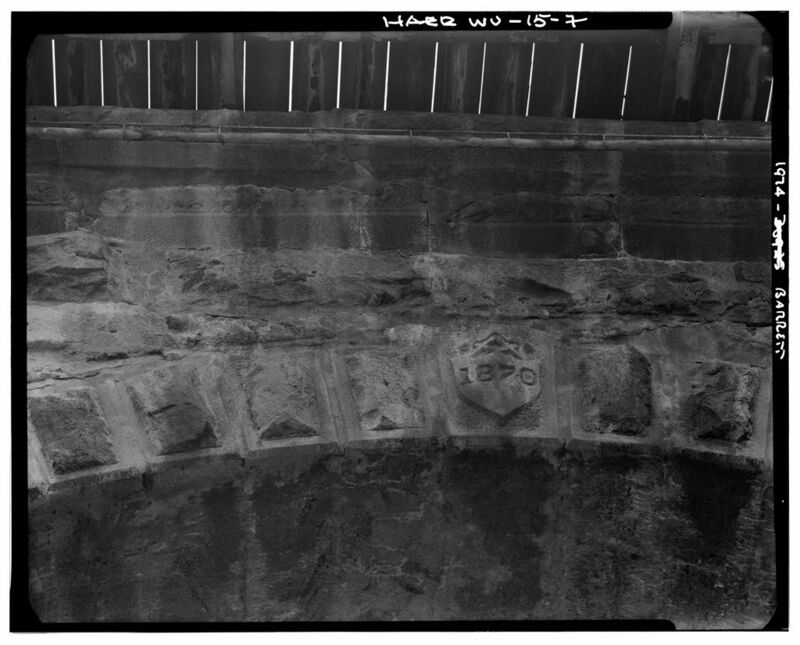 Much fill and trestle construction were required along Big Walnut Creek, and a tunnel in Cambridge had numerous rockfalls which forced the daylighting of nearly half of the tunnel. 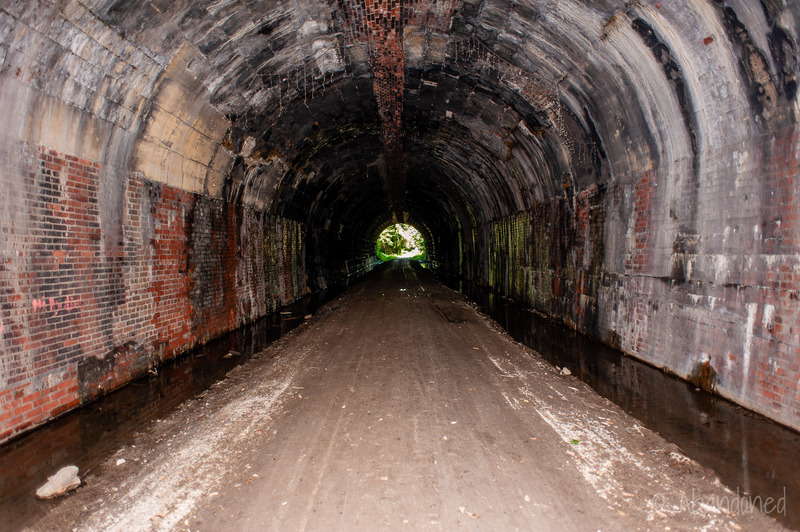 3 Additionally, the section between Zanesville and Bellaire required six tunnels and 12 significantly sized bridges. The railroad was hastily constructed with no ballast, and derailments were frequent. 3 A lack of frequent sidings meant that regular freight schedules could not be met which led to financial difficulties that plagued the railroad until it was placed into receivership in May 1859. It was not until December 1865 that the railroad was able to generate a profit due to an increase in traffic on the line relating to the Civil War. 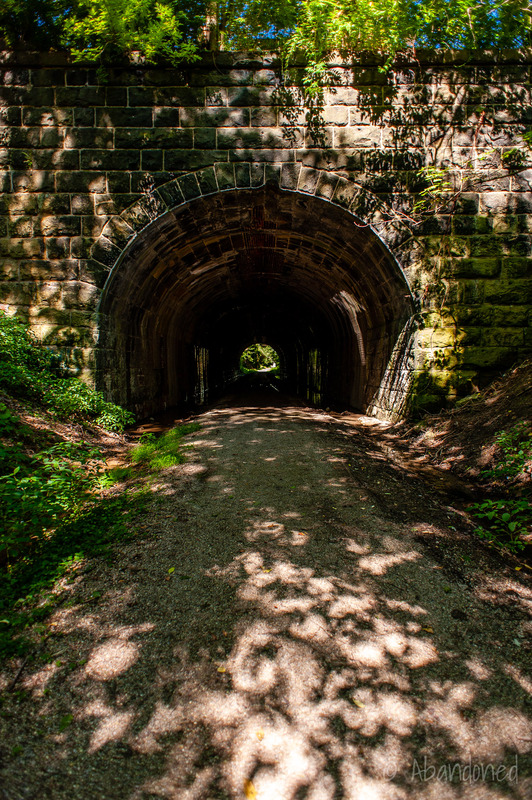 The Baltimore & Ohio Railroad (B&O) was the first railway to be completed to the Ohio River from the Northeast. 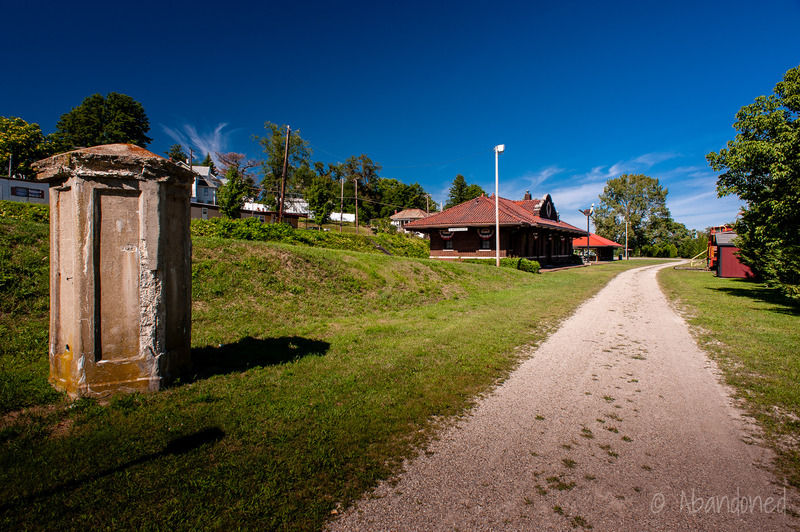 1 The new line not only connected to a bustling river port city, but it connected to an underground coal mine—a first for the nation. The B&O, though, desired a link to Chicago, a growing market that few in the Northeast had access to. 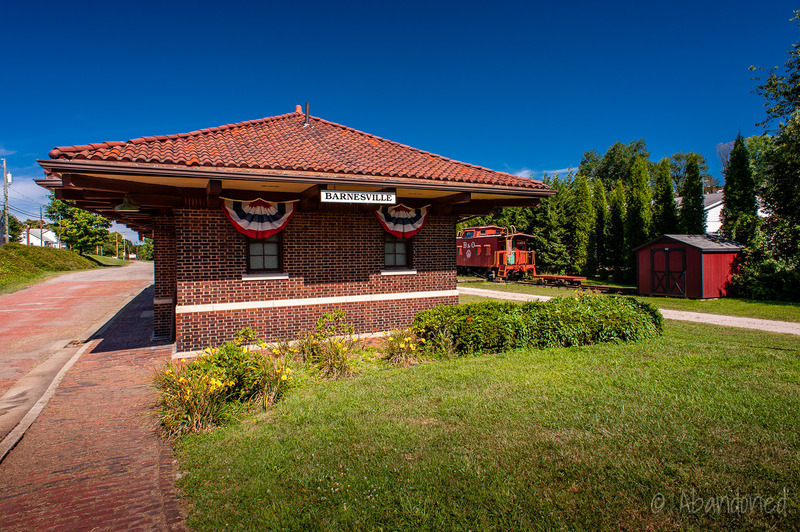 On November 21, 1866, the Central Ohio Railway struck a deal with the B&O for a term of 20 years during which time the B&O would operate the Central Ohio. The agreement was finalized on December 1. 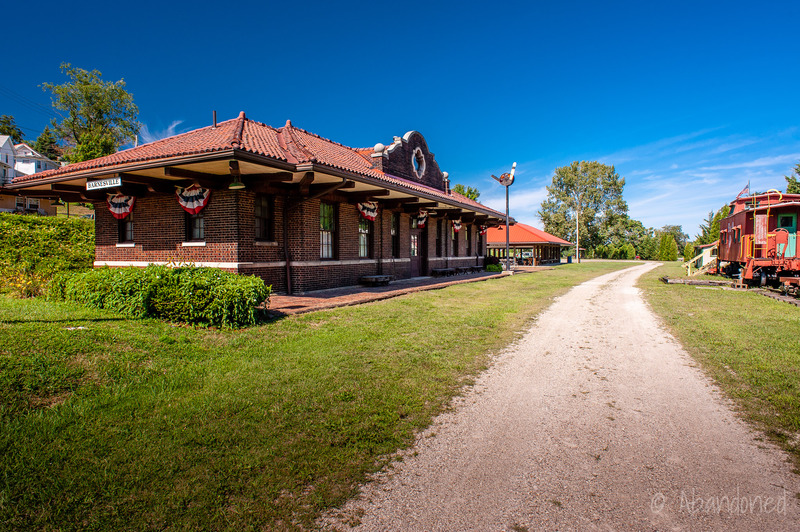 2 With a later acquisition of the Sandusky, Mansfield & Newark Railroad, the B&O was linked from Bellaire to the port of Sandusky along Lake Erie, which gave it a direct connection to Chicago. All that was needed was a crossing over the Ohio River. Discussions on a bridge began after an Act of Congress was approved on July 14, 1862, 4 which outlined that any crossing must feature a vertical clearance of 90 feet or more over the low water mark of the river, have a main span of 300 feet or greater, and adjacent spans of 220 feet or greater. The owner of a ferry between Bellaire and Benwood, West Virginia filed an injunction in court to prevent the construction of such a bridge, claiming that such a bridge would ruin his ferry enterprise. 4 The case escalated to the Supreme Court where the injunction was lifted. Afterward, the B&O selected Jacob Linville, president of the Keystone Bridge Company, to fabricate the superstructure of the new Ohio River bridge. 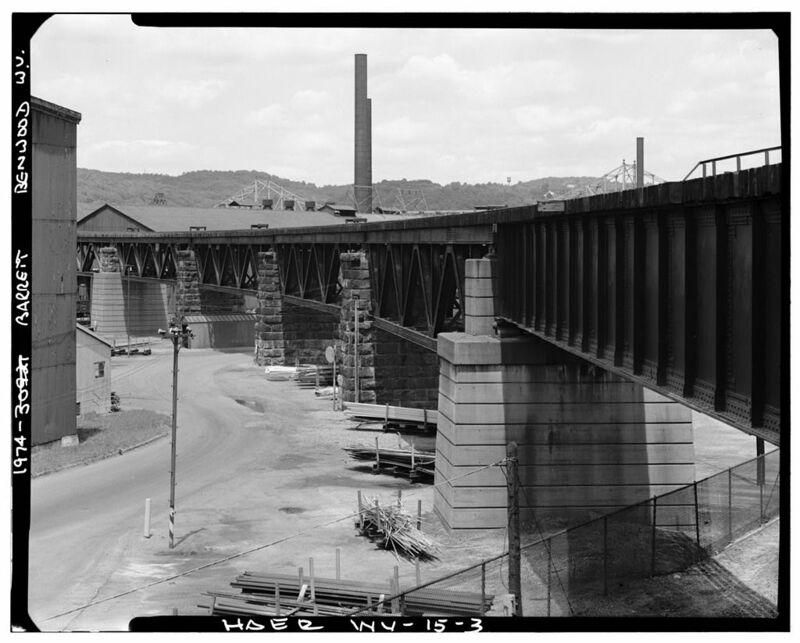 By the late 1800s, the superstructure of the Ohio River bridge required replacement because of heavier train loads. 4 The trusses were only designed for a uniform load of about one ton per foot. 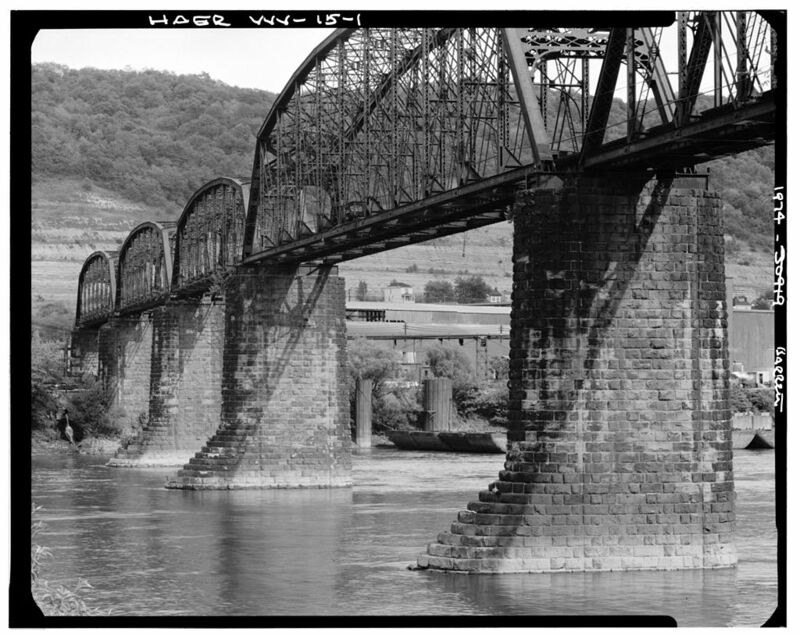 In 1892, plans were drawn for the replacement of spans 14 and 15 with new wrought iron deck trusses that were designed to hold 107½ tons, and the two spans were replaced by the Union Bridge Company in 1893. 4 Spans 1 through 7 were re-designed in 1896 and replaced in 1900 by Pencoyd Iron Works, and the new soft open-hearth steel deck trusses were designed to hold 125 tons. 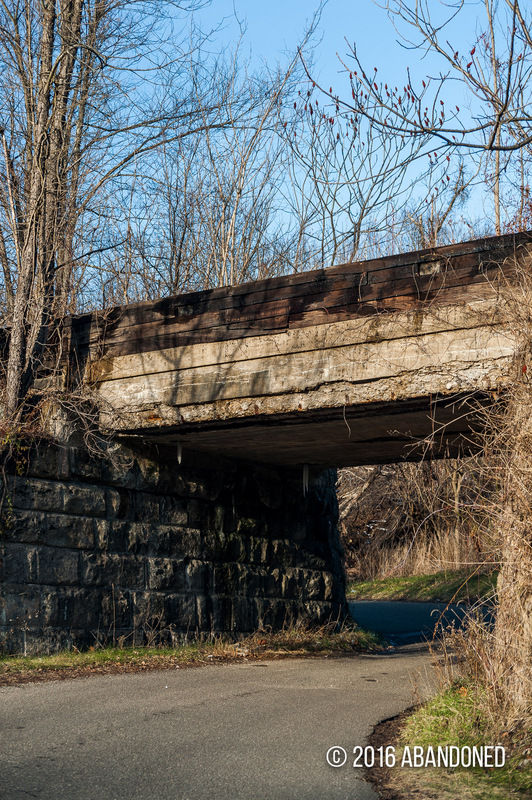 Plans to replace spans 8, 9, 10 and 13 were drawn up in 1896 and were replaced with soft open-hearth steel by the American Bridge Company’s Edgemoor Plant in 1902. 4 The new Parker through trusses were designed to hold a trainload of 2½ tons per feet. The replacement of spans 11 and 12 over the auxiliary channel of the river was met with resistance by the War Department. 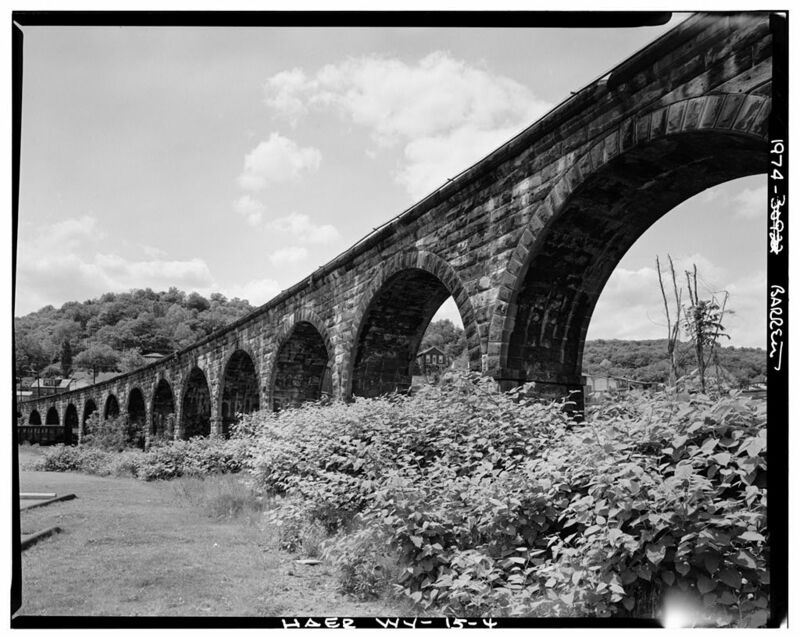 4 The B&O had obtained a special War Department permit in 1900 for the reconstruction of spans 8, 9, 10 and 13 on the existing masonry, however, the War Department desired spans 11 and 12 to replaced with a single 589½-foot span. It would require the extension of piers 10 and 12 and the removal of pier 11, and cost about $253,500 more than rebuilding. The War Department also preferred a 700-foot span over the main channel of the river, which would require the removal of three piers, the lengthening of one pier, and the replacement of spans 9, 10, 11 and 12 with one span of 284½-foot and another span of 730-foot. 4 The scheme would cost about $563,000 more than reconstruction. The War Department and the B&O disputed who should bear the cost of the main span replacement cost differences and the logistics, with the B&O ultimately deciding that it would replace spans 11 and 12 with Parker through trusses of equal length. 4 Reconstruction began in 1905 and consisted of erecting spans 11 and 12 on the outside of the existing trusses while keeping traffic moving on the bridge was much as possible. 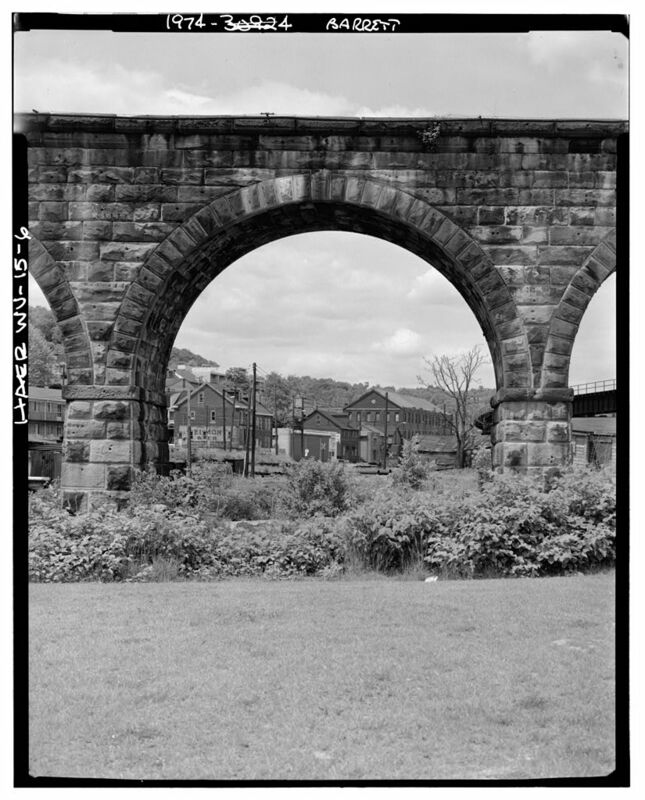 The Central Ohio route ultimately became part of the B&O’s Cincinnati to Pittsburgh Secondary, with the section of line between Columbus and Newark being shared with the Pennsylvania Railroad. 3 By 1955, the B&O route west of Bellaire had one passenger train each way and less than 10 freights per day. In 1983, the B&O abandoned the route from Cambridge east to Bellaire. The remainder from Columbus east to Cambridge is operated by the Columbus & Ohio River Railroad owned by the Genessee & Wyoming Railroad. 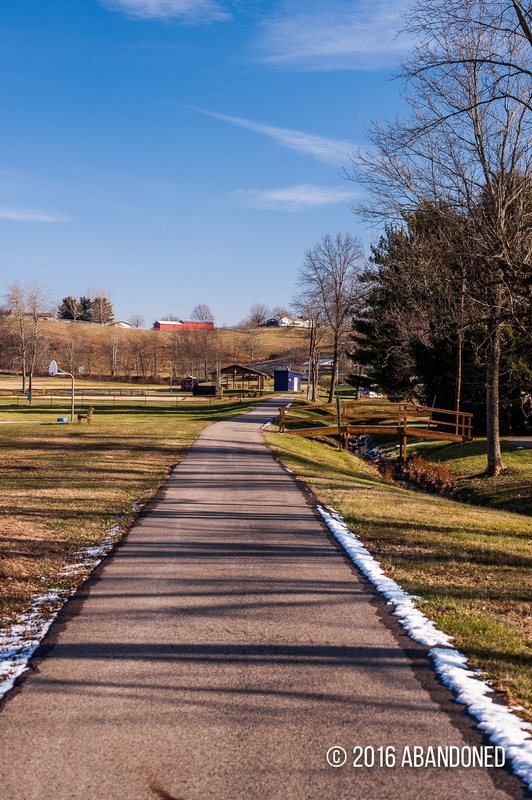 View of the rail trail at Lore City. View of the alignment at Spencer Station east of Quaker City. 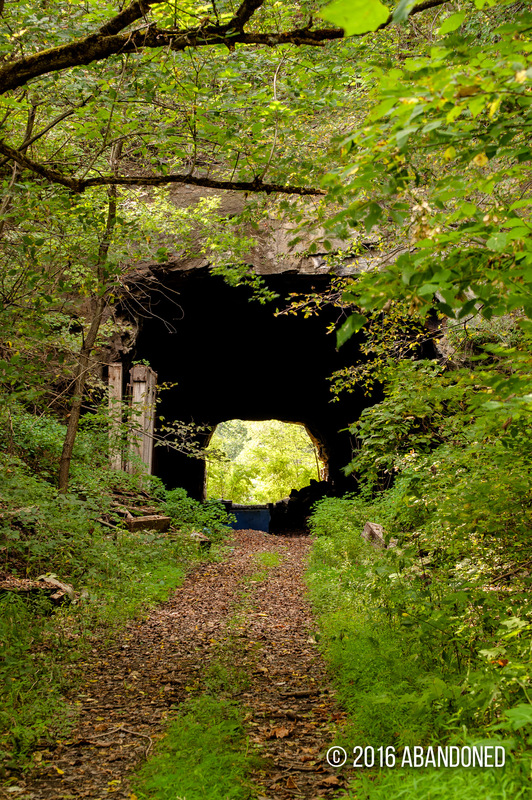 View of an underpass near Baileys Mills on an old alignment of OH 265, now removed. 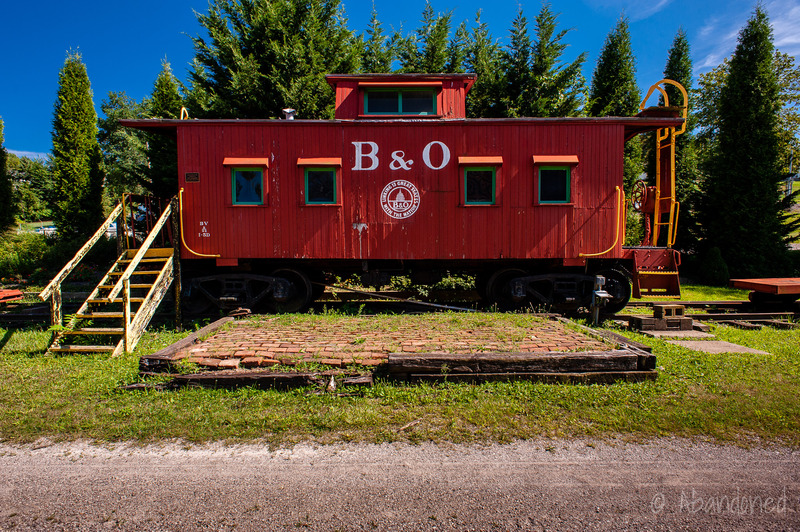 B&O Railroad caboose in Barnesville. Ault, Hewetson. “A HISTORY OF BELLAIRE .” Bellaire Public Library. N.p., 14 Mar. 2010. Web. 11 Aug. 2010. Article. Wright, George B. “Central Ohio Railroad.” Annual Report of the Commissioner of Railroads andTelegraphs to the Governor of the State of Ohio for the year 1867. Columbus: Myers & Bros., 1868. 61-62. Google Books. Web. 11 Aug. 2010. Article. Steiner, Rowlee. “Columbus Railroads.” 1952. Columbus Railroads. Web. 29 Aug. 2011. Article. Greiner, J.E. “The Reconstruction of the Baltimore and Ohio Railroad Bridge over the Ohio River, at Benwood, West Virginia.” Transactions of the American Society of Civil Engineers 55.1001 (1905): n. pag. Print. I recall taking a ride on the last round trip from Zanesville to Cambridge. It was sometime in the early sixties. Would that have been this railway?